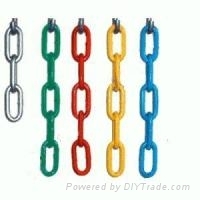 Automobile skid chains, animal chains, high tensile round link chains for mining, slinging chain and hoisting chain, drawing chain,chain used for boiter taphole machine, BS standard chain, three link chain, master chain, welded single chain, chains for ship, fishing chain, chains for binding, compensating chain for elevator and wrapping plastics chains etc. 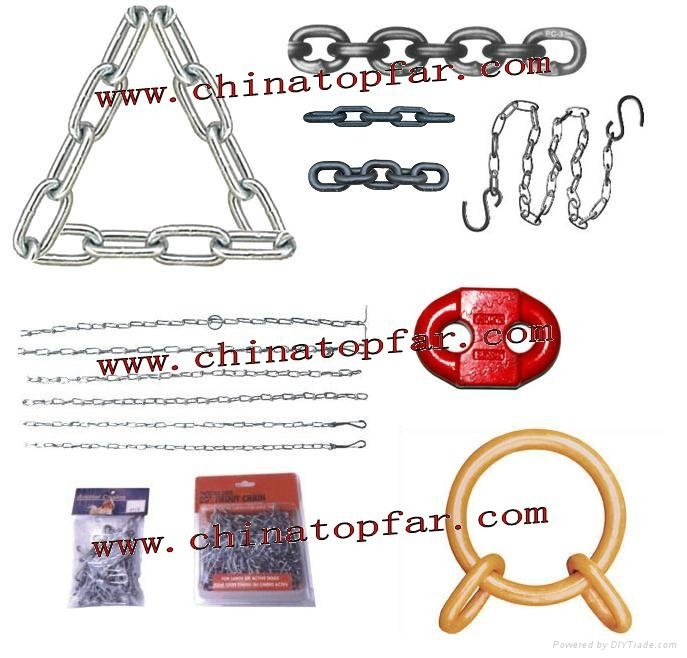 Above chains are mainly used for hoisting, pulling, enlacing, automobile skid, fishnet falling, balance for elevator and decoration etc. The special specifications can be produced according to buyer's drawings and samples.